Despite the State Government proclaiming that its asbestos management guidelines are the strictest in the country, four Year 8 students have found the deadly substance in science kits. Since the discovery, two recalls have been conducted for the decades-old classroom science kits. It is unclear how many kits had been in schools but 159 kits had been removed prior to the second recall. Many of the kits in question were issued over two decades ago. LNP education spokesman Bruce Flegg stated that the recalls and safety alert made a farce of the State Government’s asbestos management in schools. The Queensland government has proudly proclaimed to home to the most transparent and hard lined guidelines for asbestos management. Flegg has since accused the Government of trying to keep the recalls discrete and hidden from public eye which is why all parents have not been alerted. 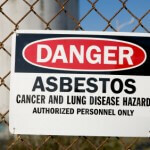 Flegg warned that an excessive amount of examples of children and teachers have been exposed to deadly asbestos fibres . Experts claim that the risks posed by the kits are minimal despite the fact that there are always risks associated with asbestos. The kits allegedly originally contained a sample of asbestos rock. Queensland asbestos expert Bill Kwiecien stated that while the kits were a concern and a possible risk to children because of the presence of hazardous material, the actual risk was minimal. Kwiecien stated that it is only a concern because kids are exposed to it but otherwise it would not be of immediate concern.